Dr. Natalie Severns provides convenient orthodontic care for kids, teens, and adults at Severns Dentistry and Orthodontics. Orthodontic treatment is used by people of all ages to transform their teeth and smile. Although straightening teeth is certainly a cosmetic concern, it’s also important for your health. Properly positioning your teeth creates a healthy smile, and allows you to easily eat and talk, while also keeping your teeth clean in between dental check-ups. We offer metal braces with colors, clear braces, behind-the-teeth (lingual) braces, and clear aligners such as Invisalign®. Braces are now made with lighter, stronger material, and Dr. Severns’ customized approach can mean that your treatment time may be shorter. The American Association of Orthodontists suggests that children should see an orthodontist by age seven to identify and correct problems. By this age, Dr. Severns will be able to evaluate your child to see if early treatment should be started. It’s common for children to receive orthodontic treatment in steps over a period of years. For some children this ensures that there is enough room in your child’s mouth for their emerging adult teeth, it also makes additional treatment during the teen years faster. Many kids benefit from early treatment and get great results. Teens are happy to learn that there are many choices for their orthodontic treatment, including metal braces, clear braces, behind-the-teeth braces, and clear aligners like Invisalign Teen. Invisalign Teen, in particular, are invisible, removable, and don’t have an eating or drinking restrictions like those that come with wearing braces. Many adults who didn’t receive orthodontic care as a teen, or who received abbreviated treatment, are now choosing getting braces or Invisalign® because they’ve love to have a more confident smile. Invisalign is particularly popular with adults because it is nearly invisible, and can be removed to eat and drink. If you’d like to see if you’re a candidate for Invisalign, call Severns Dentistry and Orthodontics today to make an appointment for a consultation. 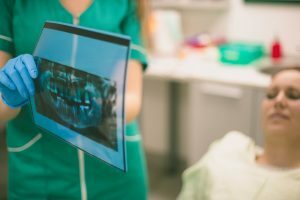 Severns Dentistry and Orthodontics also offers general dentistry, family care, and cosmetic dentistry as part of our full-service dental practice. Call today to learn more or make an appointment with your Pittsburgh orthodontics.